Making Cold Drip coffee is fairly simple, water drips onto ground coffee and once those grounds are saturated the coffee drips into a vessel. You can literally make this as complicated as you want. Most Cold Drip towers are fairly large, fragile, single purpose items. Plus, the nicer ones are fairly expensive ($/€ 250 – 700). Remember how I said that Cold Drip coffee is fairly simple? 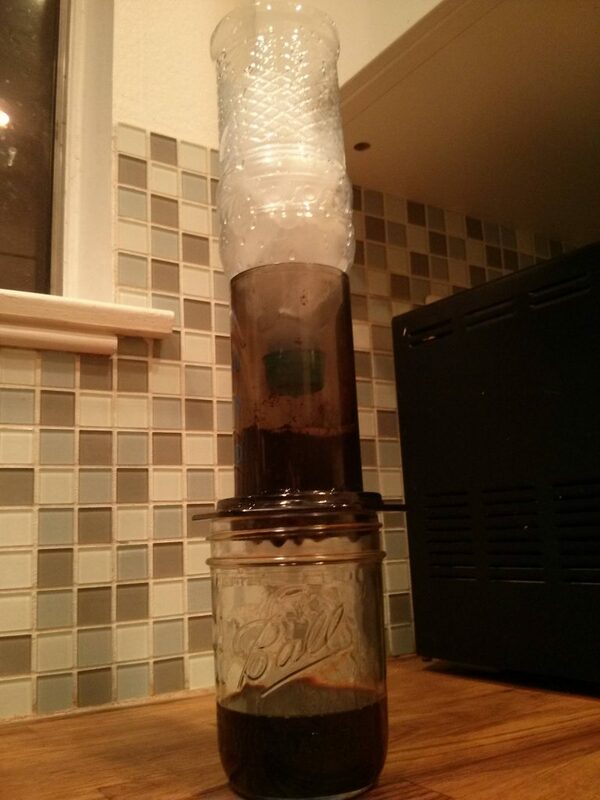 Well turns out people have found creative ways to use the AeroPress and a upturned soda bottle with its’ bottom cut off and a pinhole in the cap. It’s cheap, a bit crude, but it works. 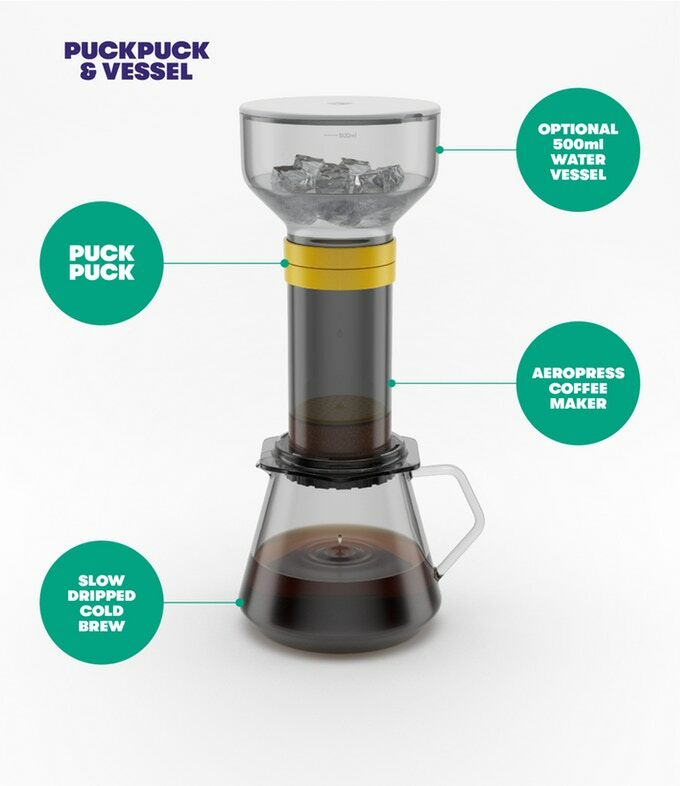 “Two at Six” aims to make it easier still, they have designed an add-on that is placed on top of the AeroPress. The top of the add-on then accepts a regular soda bottles or, their own Vessel (500ml). By twisting the two halves of the add-on itself you can adjust the drip rate, allowing you to fine tune your cold drip process. As with all things Kickstarter, you end up paying for a product long before you know if it’ll actually be able to deliver on its promises. Or even deliver at all. The PUCKPUCK campaign has been fully funded (over 200% at the time of writing) and the cost of entry isn’t all that much so to me it’s worth the risk. For now everything promised in the campaign is merely a theory, a best case scenario if you will. As such, this post isn’t a review as I don’t have any hands on experience with it just yet. The shipping date for the campaign is tentatively set for March 2018 so keep your eyes peeled for future updates! That said, I’m optimistic that Two at Six will be able to deliver. If you’d like to support them, their campaign is open until Sunday November 12th (14:45 CET). The cost of entry is £12 + shipping for a single PUCKPUCK, £21 + shipping if you want the 500ml Vessel as well. 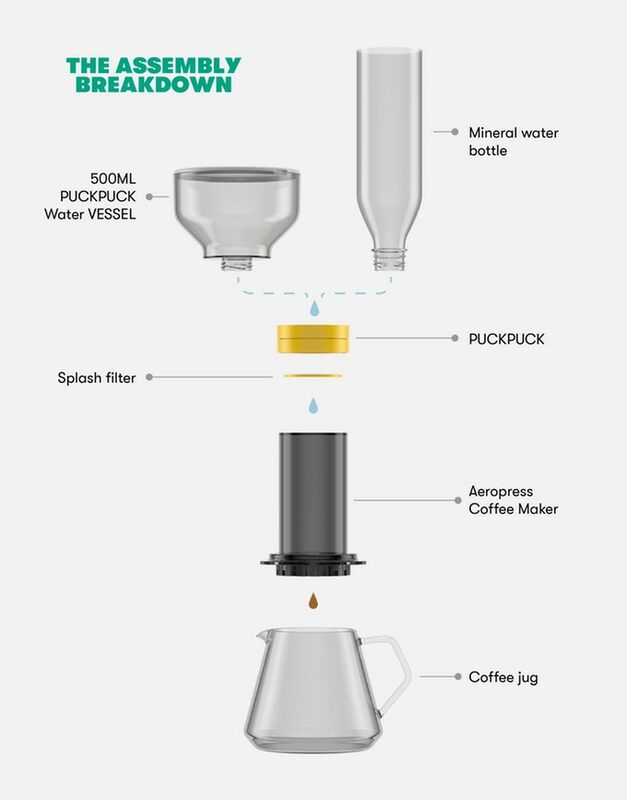 And I’ll leave you with the link to their campaign: PUCKPUCK the little cold brew coffee maker for the Aeropress.